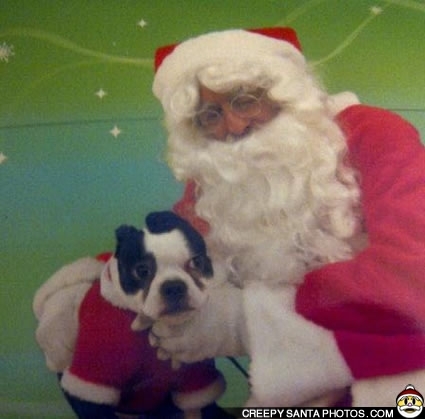 “This is Paul the Dog a 9 month old Boston Terrier. 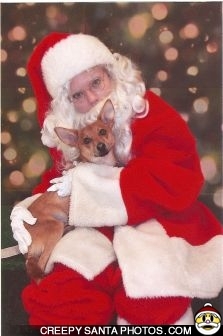 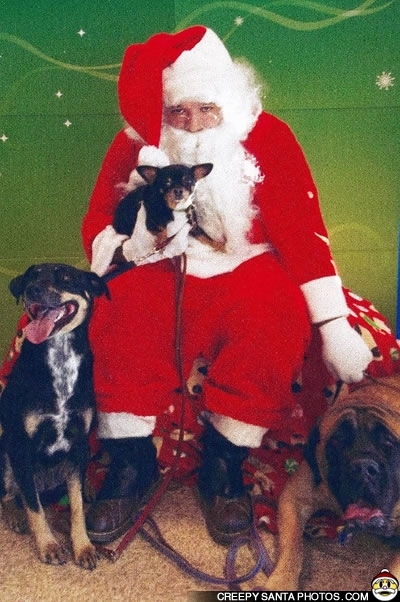 We went to the pet store to get his photo taken with Santa Clause for a fundraiser to support local homeless animals. 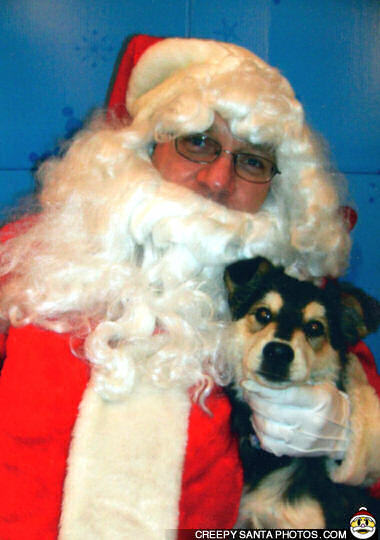 Paul wouldn’t even go near Santa at first, he kept slowly leaning more and more away from Santa until i finally went and got him away from him. 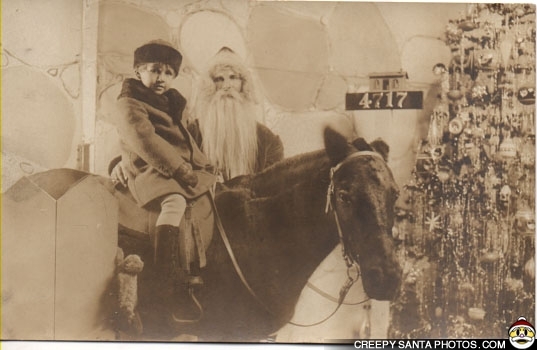 Posted in Santa with Pets & Animals | Comments Off on YO QUIERO CREEPY SANTA!